Have astigmatism? 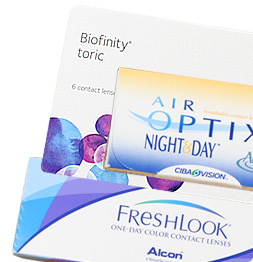 Shop our selection of toric contact lenses from all major brands. 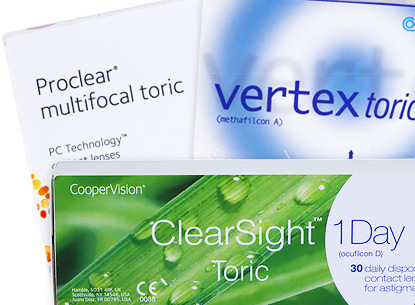 Find great prices on toric lenses from: Acuvue, Air Optix, Avaira, Bausch and Lomb, Biofinity, Biomedics, BioTrue, Dailies, Proclear, Purevision, Soflens, Vertex and more. Toric lenses are contact lenses for astigmatism. 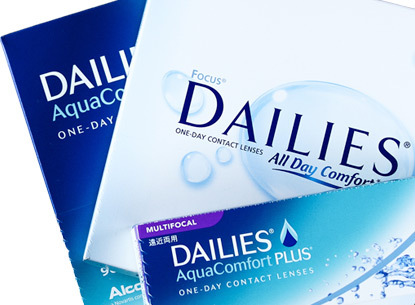 Toric Contact Lenses have been around for several years now, and are available in both a hard and soft lenses. For many years toric lenses have been available in rigid gas permeable (RGP) form, and only recently entered into the soft lens market. 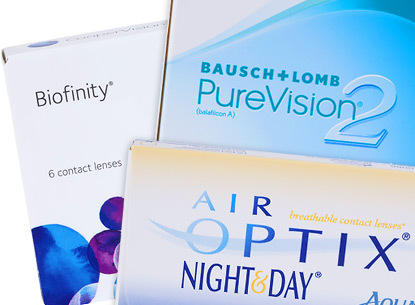 Soft contacts for astigmatism can be found in a wide variety of styles as well, including disposable color varieties, which were not available several years ago. Unless your current prescription is extremely complex, there should be a soft lens solution available to you with the new advancements in toric contact lenses technology. Since toric contact lenses have a particular orientation, it generally takes more time and experience for a doctor to fit a patient that requires contacts for astigmatism. This is the first expense that patient with astigmatism will notice. 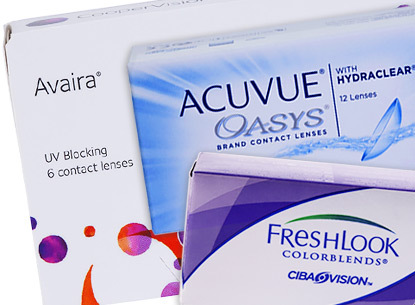 Additionally, toric contact lenses themselves are generally more expensive than traditional lenses. Color contacts for astigmatism have also grown in popularity lately, offering the wearer the ability to change or enhance eye color.